3-Piece Bed Cover Just $27.99! Down From $90! PLUS FREE Shipping! You are here: Home / Great Deals / 3-Piece Bed Cover Just $27.99! Down From $90! PLUS FREE Shipping! For a limited time only! 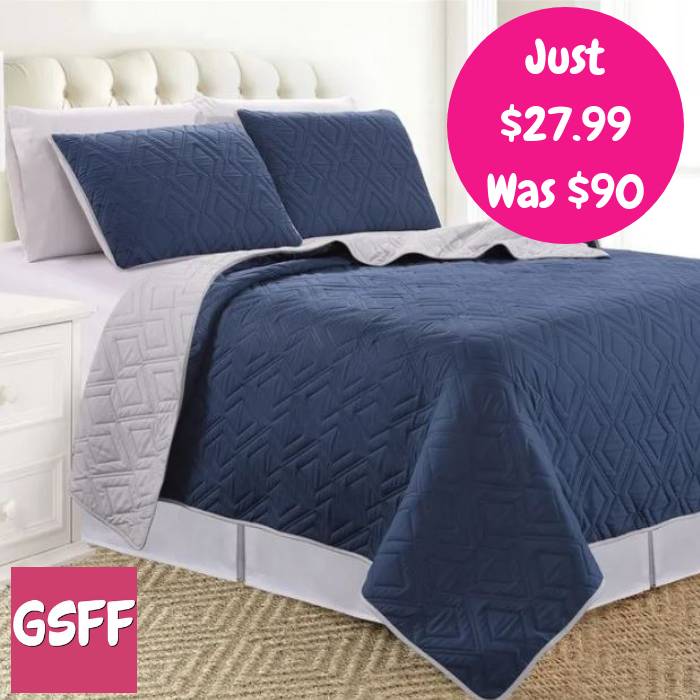 Head over to Jane to score this 3-Piece Bed Diamond Stitch Bed Cover for only $27.99 down from $89.99 PLUS FREE shipping! Add a touch of contemporary flair to your bedroom with these Diamond Stitch solid reversible quilted 3-piece coverlet sets. Light weight and comfortable this set is constructed of 100% microfiber with a light polyester fill. The reversible design allows for multiple looks to your bedroom. It is available in a variety of beautiful color options to complement your decor.